Dr Bill Teatheredge of the Munnings Art Museum talks about the extraordinary experiences of Alfred Munnings, both at home and on campaign with the Canadian Cavalry Brigade. 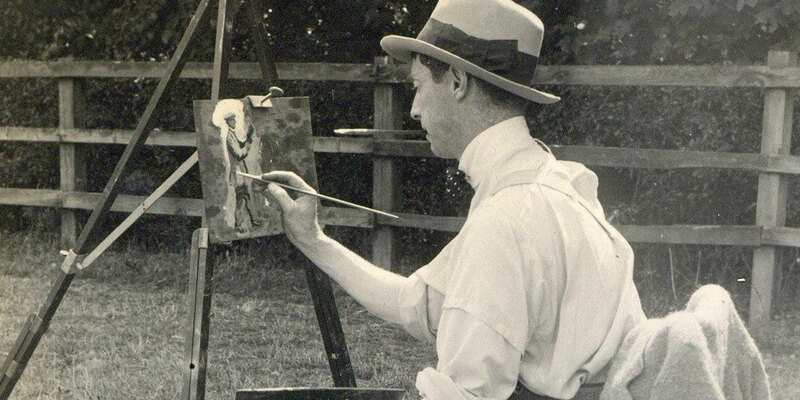 The First World War was a major turning point in the life and career of Sir Alfred Munnings. Prior to the war, he was a well-known but provincial artist. Afterwards, he became internationally renowned for his equine art. The early years of the war were marked by personal setbacks for Munnings, including the death of his wife, Florence, and his rejection from the Army on medical grounds. But, in 1918, he seized the opportunity to play a greater role in the conflict and took up a commission as an official war artist painting the men and horses of the Canadian Expeditionary Force in France. General Seely, the commander of the Canadian Cavalry Brigade, later described him as a 'whimsical and gallant soul', for whom the Canadian authorities had never intended a front-line role. Yet, he also insisted that Munnings' depictions of Canadian horses at the front were 'some of the most brilliant things he has ever done'.